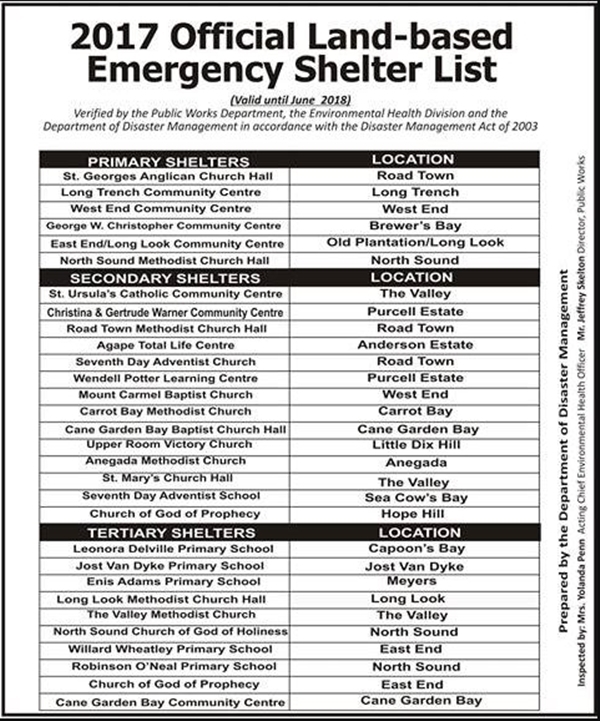 The Department of Disaster Management (DDM) has issued a list of all emergency shelters across the BVI and is urging persons to evaluate their current locations to determine whether evacuation is necessary. 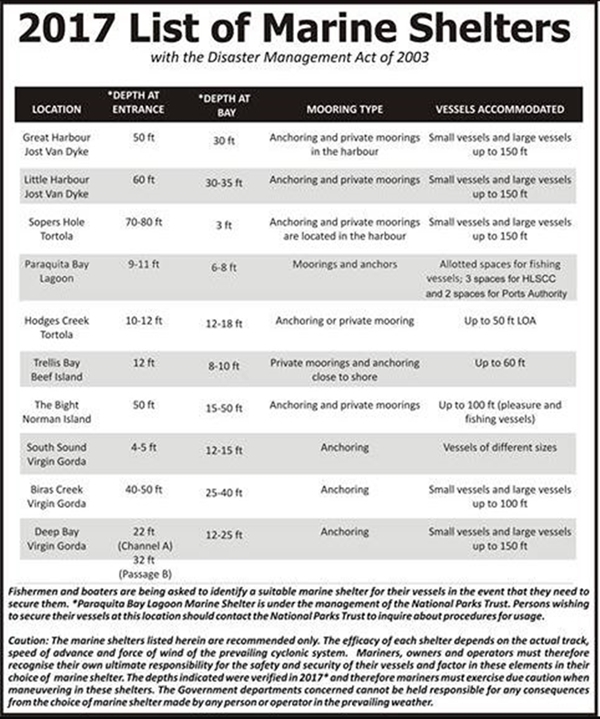 “The DDM is encouraging members of the public to familiarise themselves with the location of the land based emergency shelters, as well as the list of marine shelters and the details associated with their use. Persons previously affected should evaluate their location to determine if a decision needs to be made to evacuate,” it said in a media release. The DDM made the statement in light of Hurricane Irma which is expected to affect the territory on Wednesday. The British Virgin Islands was put under hurricane watch this morning.